This is handled by the Department of Forensic Medicine, RIMS. The disposal of unclaimed bodies is diet with in two separate sections. First the body is directed for post-mortem. Then it is stored in the cold storage for 72 hours. The cold storage at RIMS is well functioning and has a capacity of 24 bodies at a time. After 72 hours, if the body is still left unclaimed, then the police undertake the charge of disposing it. This comes under the jurisdiction of the Senior Superintendent of Police, Ranchi. The bodies are stored in the mortunary which has a capacity of 30 bodies at any given time. Some bodies are sent to the Anatomy Department where they are embalamed and kept in separate cold storage exclusively for the department. The bodies are then preserved using formalin and used for dissection. The remaining bodies are cremated on a mass scale with with the help of NGO, Murda Kalyan Samiti, Hazaribagh. Thi is done with the permission of the Deputy Commissioner, Ranchi. Since the last two years, mass cremations have been done twice at RIMS. 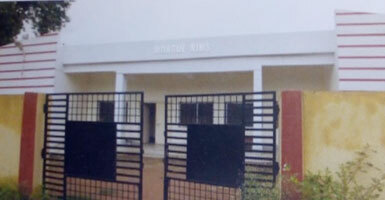 There are two separate morgues functioning within the campus of RIMS. Togather they have a combined capacity of storing 54 dead bodies, claimed or unclaimed. The first morgue with a functioning capacity of storing 15 bodies presently, is under the supervision of FMT Department. The medico legal cases are taken care of here. The bodies are stored for a period of 72 hours after Post Mortem, Beyond which, if not claimed, they are disposed off. The second morgue with a functioning capacityof storing 30 dead bodies, is under the supervision of Medical Superintendent.